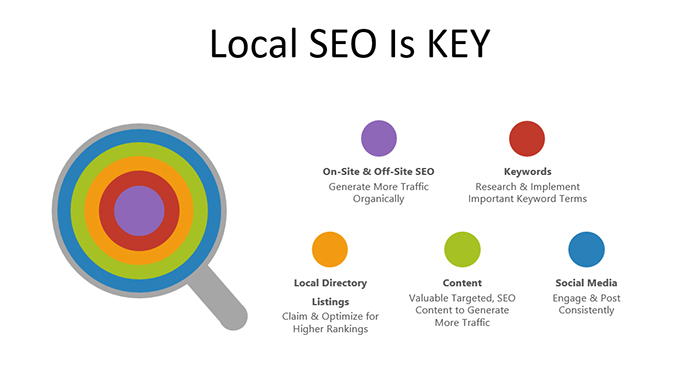 Why is Local SEO important? You may have noticed that consumers today go online first to find products and services such as yours, and over 80% of Consumers go to Google first. Are you on the front page of Google? If not, you need our SEO services. Simple question. When consumers go to Google, will they see your company’s website on the first page of the results, or will they only see your competition because your site is buried in the sand? How do you stack up against your local competition?